Don't miss your opportunity to call this beautiful house your "Home"! Walk into the 2 story foyer and be amazed by the newly refinished Brazilian Cherry Wood floors, 20 foot floor to ceiling Stone Fireplace (gas) and beautiful kitchen with large granite island and Maple Cabinetry. No detail is left undone! Main floor Master Bedroom, oversized Master Bath with heated floors, walk in tile shower, separate tub and 'his and her' walk in closets. The 2nd floor has 4 additional bedrooms, 2 full bathrooms and an open sitting room. The unfinished basement has 9 ft ceilings and walks out to the impressive backyard oasis with a 38x16 heated salt water pool, large deck with built in gas line for a fire pit and plenty of green space. 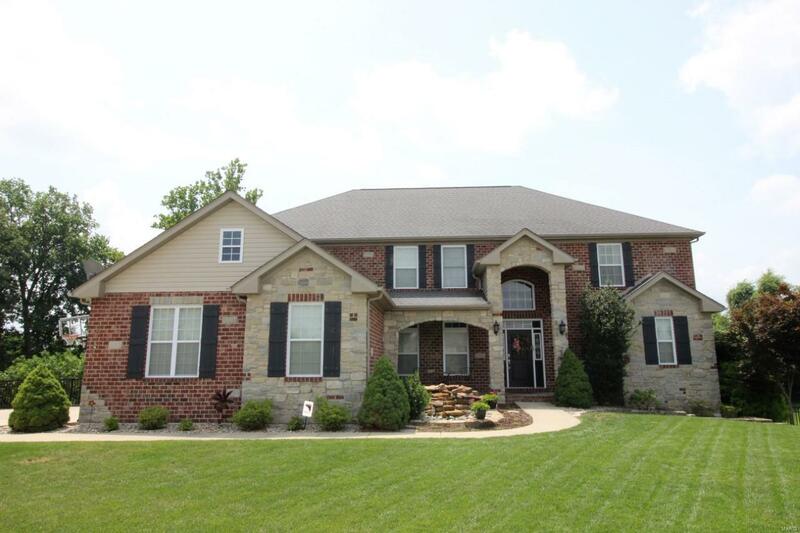 3 car side load garage, beautifully landscaped yard with waterfall and large boulders. This premium home has many upgrades! !